Green energy is becoming ever more popular due to pressing issues like climate change. If you genuinely care about the environment, you too could try eco-friendly ways to generate power in your home. They produce no greenhouse gasses and utilize natural energy from the sun, wind and water. This type of energy is popular and widely used. If you’re unsure about switching to renewable energy, you could start with solar power. Solar rooftop panels are an ideal way to supply power to your house and are usually installed on the roof, although they could also be installed in your yard. A few square feet of solar panels could generate around 10 kilowatts, enough electricity for your home. One of the drawbacks of this type of energy is that it can only be used when the sun is up, so you might have to connect to the grid or look for another form of energy to power your house at night. If you do not want to power your entire home using renewable energy, you could instead concentrate on key sections such as heating and cooling. Solar power can also be used for heating and cooling apart from supplying electricity. Solar water heaters provide hot water for the bathroom and kitchen and are cheaper than gas and electricity. They are also easier to install than solar panels. Choose the types of solar heaters you think will be best for you. If you live in a warm climate or want to cool off during the summer, consider getting an eco friendly air conditioner. Regular air conditioning is highly expensive and expends a large amount of electricity. Thus, look for alternative methods to cool your home using methods such as hydronic cooling, green roofs and solar air conditioning. Wind power is less popular when compared with solar power and requires a lot of space to set up. If you have a small property, it is not feasible. However if your property is fairly large, you could install a small wind turbine in your garden. It will look after most of your energy requirements. It is also more stable than solar power. A few cons include noisiness and an unappealing appearance. Deciding to switch to this type of energy will also depend on your location and how windy it is. Renewable energy is wise to invest in as well as being cost-effective. 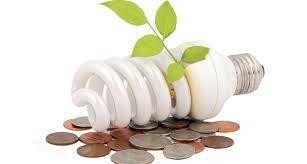 You will also not have to worry about the hassle of paying utility bills.